Arranging for an installment agreement with the IRS allows you to pay off your back taxes over time while being considered to be in good standing with the taxing authority. This is a good option for people that want to get rid of their tax debt but don’t have enough money to pay it off all at once because it breaks the amount down into affordable monthly increments. Many taxpayers like this option because the IRS will sometimes reduce certain penalties once an installment agreement has been established. Similar to other payment plans offered by the IRS, any delinquent tax returns must be filed before applying for an installment agreement. When you’re ready to apply, Stuart C Hill Jr., CPA, PLLC will file IRS Form 9465 on your behalf to request an installment agreement. The IRS charges a fee to set up the agreement and even if they grant it, you’ll continue to be charged interest as you pay off your tax debt. Certain plans only require a small monthly payment until the statue of limitations is reached and then the rest of debt is cleared. Other kinds of plans may demand a full repayment and require a larger monthly payment but, even in these cases, the increments are designed to be reasonable so the goal of paying off the debt can be achieved. The designated amount of the monthly payment will be determined by weighing the overall tax bill against what the taxpayer has the ability to pay. These installments must be consistently paid on time to avoid defaulting on the agreement. What Type of Installment Agreement is Right for You? The IRS offers different types of installment agreements and some have specific requirements you must meet in order to successfully set up the agreement. An installment agreement is often fairly easy to obtain when the amount of taxes you owe doesn’t exceed $25,000 and you have qualified tax professional like Stuart C Hill Jr., CPA, PLLC helping you file the necessary documentation. 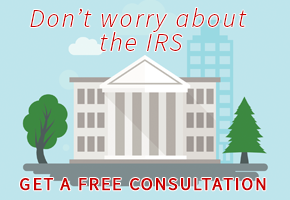 Even if you owe a larger amount, our Fort Worth, TX CPA Firm will work with the IRS to find the best solution to settle your tax debt. Call us at 817-332-3320 now!